Listing of Mosquito aircraft operated by 68 Squadron RAF and flown by Czech aircrew during WW2. Abbreviations in use for personnel (k) = Killed; (m) = Missing, (i) = Injured; (dli) = Died later of injuries; (pow) = Prisoner of War; (s) = safe. HK239 NF.XVII Trans from 25 Sqn to 68 Sqn then to 54 OTU. Carried out at least one operational sortie with a Czech crew (Adam/Gemrod) on 18.1.45. HK241 NF.XVII Trans from 85 Sqn to 68 Sqn then to 54 OTU. Used by Czech crews between October and November 1944. HK251 NF.XVII Trans from 85 Sqn to 68 Sqn then to 51 OTU. Flown by Czech crews during November and December 1944. HK254 NF.XVII Trans from 219 Sqn to 68 Sqn. Overshot single engined landing at Church Fenton on 14.2.45. and damaged beyond repair. HK258 NF.XVII Trans from 85 Sqn to 68 Sqn. This aircraft was used for at least one operational patrol by a Czech crew (Standera/Bednarik) on 14.9.44. Struck off Charge 26.7.46. HK280 NF.XVII Trans from 25 Sqn to 68 Sqn then to 51 OTU. This aircraft was flown operationally several times during November 1944. ‘K’ NF.XVII Trans from 219 Sqn to 68 Sqn . 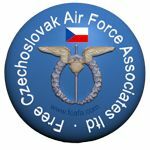 First flown operationally by a Czech crew (Adam/Gemrod) on 3.10.44. It was shot down by our own AA near Decoy Farm, Blundeston, Suffolk on 14.11.44. The pilot had entered a ‘gun belt’ whilst chasing a V1. It was being crewed by two USN airmen at the time (Lt Joseph Black and Lt Thomas Aiken) who were both killed. The V1 later came down near Berkhampstead, Herts at 1927 hours. HK294 NF.XVII Trans from 85 Sqn to 68 Sqn then to 51 OTU. 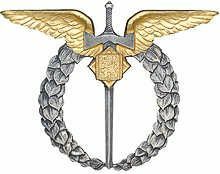 Used initially by a Czech crew (Adam/Gemrod) on an operational patrol on 20.9.44. It was still in use in December 1944. HK306 NF.XVII Trans from 85 Sqn to 68 Sqn then to 54 OTU. Used by several Czech crews during November and December 1944. HK307 NF.XVII Trans from 85 Sqn to 68 Sqn then to 51 OTU. Made two operational sorties with a Czech crew (F/O Jaroslav Taudy/Sgt Karel Doubek) during December 1944. HK319 NF.XVII Trans from 219 Sqn to 68 Sqn then to 54 OTU. Used by various Czech crews between November 1944 and February 1945. ‘J’ NF.XVII Trans from 219 Sqn to 68 Sqn. Used by Czech crews during November 1944. This aircraft hit trees after take off at Horstead Hall, Norfolk on 22.11.44.The aircraft crashed and was burnt out, the US Navy crew consisted of Lt Peebles, pilot, and Ens. Grinndal, navigator, who were killed in the crash. HK347 NF.XVII Trans from 85 Sqn to 68 Sqn then to 54 OTU. Operated by various Czech crews between September and November 1944. ‘N’ NF.XIX Del to 68 Sqn then to 157 Sqn, then to 169 Sqn. Flown by various Czech crews between August and November 1944. On 9.10.1944 when crewed by F/Lt Cox & F/O Croft, following an engine failure, a emergency landing was made. Subsequently destroyed with 169 Sqn on a raid to Schieswig on 03.05.1945. “C’ NF.XIX Del to 68 Sqn then 157 Sqn, then to 169 Sqn. Post WW2 sold to Sweden. Operated by Czech crews between July 1944 and January 1945. Whilst patrolling ‘Ferro 16’ on the night of the 25/26.10.44. Sqn/Ldr Mansfeld and Flt/Lt Janacek shot down an air launched VI. They dived on it from 6,000 ft firing short burst and the V1 went into the sea with a big flash (location was given as M.96). On 27.07.1944 the same crew shot down another V1. NT273 NF.30 Del to 68 Sqn. Used operationally during April 1945. It carried out the second from last operational sortie by a Czech manned Mosquito of 68 Sqn on 9.4.45. between 2120 and 2220 hours, with a crew of Sqn/Ldr Mansfeld and Flt/Lt Janacek (see below under NT317). It was scrapped on 24.11.53. NT316 NF.30 Del to 68 Sqn became 6519M on 19.4.48. This aircraft carried out two operational sorties in March 1945, with a Czech crew (Vopalecky/Husar) on board. ‘J’ NF.30 Del to 689 Sqn then to Belgian AF (MB-13) on 26.8.48 Flown by Czech crews between March and April 1945, this aircraft carried out the last operational sortie of a Czech crew from 68 Sqn, between 2145 and 2235 hours on 9.4.45. The crew consisted of F/O Adam and W/O Gemrod. 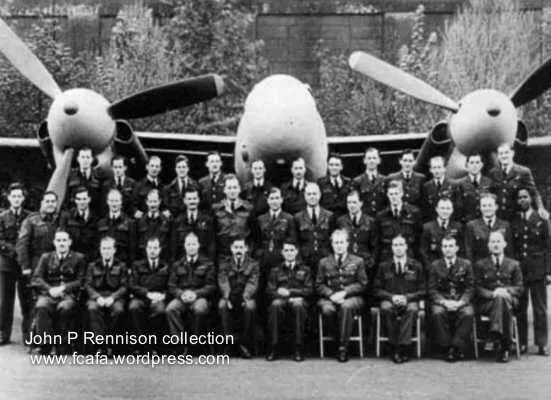 ‘O’ NF.30 Del to 68 Sqn. This aircraft carried out at least one operational sortie with a Czech crew (Vopalecky/Husar) on 3.3.45. It was officially scrapped on 11.8.48. NT351 NF.30 Del to 68 Sqn then to 500 Sqn. This aircraft carried out three operational sorties with Czech crews during February and March 1945. NT356 NF.30 Del to 68 Sqn. Used during the early part of 1945 this aircraft overshot during a night landing and ended up in a ploughed field, on return from patrol on 10.3.45. One crew member was injured. The aircraft operated again on 5.4.45. with a Czech crew (Taudy/Necas). NT357 NF.30 Del to 68 Sqn. This aircraft carried out an operational patrol on 2.3.45. with a Czech crew (W/O Horak/F/Sgt Krusik). On 4.3.45. it lost height and crashed near Coltishall , whilst making a single engined approach. It was returning to base from a patrol and was damaged beyond repair. NT365 NF.30 Del to 68 Sqn. Operated by Czech crews during February to March 1945. It was hit twice by our own AA whilst carrying out an interception and abandoned near Grange Farm, Marham Norfolk on 4.3.45. NT375 NF.30 Del to 68 Sqn to Belgian AF (MB-15) on 9.9.48. This aircraft carried out at least one operational sortie with a Czech crew (F/O Miroslav Standera/ W/O Karel Bednarik) on 3.3.45. NF.XIX Del to 68 Sqn then to 157 Sqn, then to 169 Sqn. Operated by various Czech crews between August 1944 and January 1945. On 5.11.1944, when crewed by F/Sgt Neal & F/Sgt Eastwood, shot down a He 111. A ‘probable’ He 111 was claimed on 8.12.1944 when flown by W/O Cookson & W/O Grawell.